Do you get a fee on the property damage settlement of my personal injury case? >> Do you get a fee on the property damage settlement of my personal injury case? When a client hires Sally Morin Personal Injury Lawyers to represent them in a personal injury case that relates to a bicycle, motorcycle, auto or even pedestrian accident, there are usually two types of claims that we handle for them. We handle the bodily injury claim, which is the part of the case wherein the client is compensated for her medical expenses, loss of earnings and pain and suffering damages. This type of claim is discussed at great length in many of other personal injury articles. This is the claim for the damage or destruction of their bike, motorcycle or car and any other personal property items. (For instance, we often have pedestrian accident cases where the client is obviously not on an vehicle, but does suffer damage or destruction to some of the personal items he or she had with them at the time of the accident. Items most frequently damaged or destroyed are iPhones, sunglasses, clothing, computers, etc.) The client is entitled to receive money to repair or replace these items. In addition, the client may be entitled to money for the loss of use of these items (the time that they were not able to use the items because they were broken or gone.) Most common is the loss of use of one’s vehicle (bicycle, motorcycle or car) due to an accident caused by a third party. When your vehicle is destroyed, you are entitled to the reasonable value of the loss of use of your vehicle for the amount of time it should reasonably take you to replace the vehicle. So, you take the reasonable rental value for renting a similar vehicle (usually around $25-50 per day) and multiply that by the number of days you are without the vehicle. However, you are only entitled to a reasonable amount of time of these daily damages. So, if the 3rd party insurance company sends you a check for the loss of your vehicle, but it takes you three months after you get the check to buy a replacement vehicle, you are not entitled to loss of use damages for that period of time. You would likely only be allowed those damages until the time you received the check, because at that point, you were in a financial position to be able to replace your destroyed vehicle. ​Click here to learn more about how the process works with Sally Morin Personal Injury Lawyers. The bottom line is that if a client comes to us here at Sally Morin Personal Injury Lawyers prior to resolving their property damage claim on their own (which can be really simple if they have comprehensive insurance coverage of their own), we assist them with this portion of their case as a courtesy. We do NOT take any portion of the money we help them recover for the property damage or loss of use damages. We do however earn a fee (the percentages are set out in our fee agreement) on the bodily injury portion of the case, which is separate from the property damage claim. If your personal injury attorney is charging you a percentage fee on your property damage claim, you are likely paying too much. Make sure you clarify if there will be a fee or not on the property damage portion of your case. If you or someone you care about was seriously injured in a personal injury accident, contact us for a FREE online case evaluation now. Still not sure? 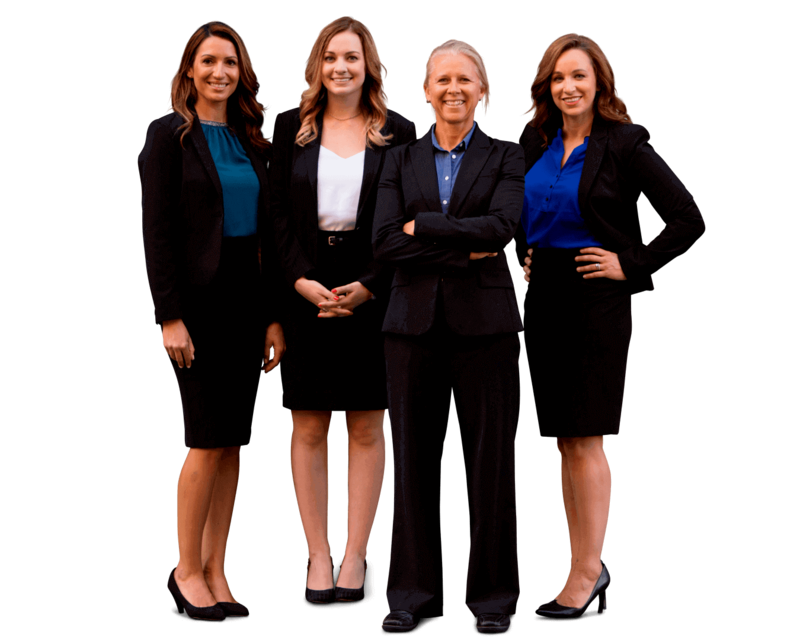 See if Sally Morin Personal Injury Lawyers is the right fit for you.